The 7885 is simple to use, durable, accurate, reliable, and ideal for conveyor lines. The remote display can be placed in a convenient location to allow the user to view the weight, zero the scale, or send weight data. This NTEP approved scale fits into any operation as a standalone scale, interfaced to a shipping manifest software, or receiving station. 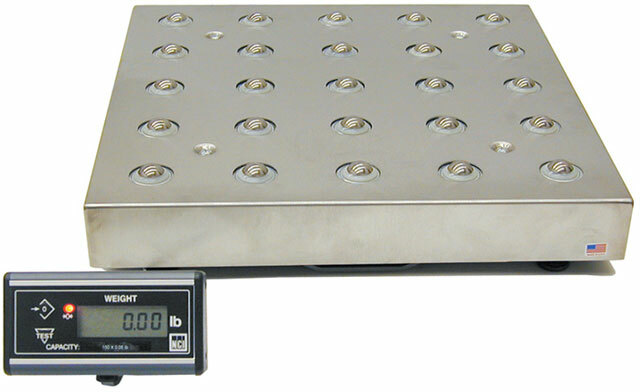 9503-16679	 7885, 150lb, 18" x 18" parcel shipping scale. Includes remote display & 10 ft. RS-232 Cable (9 Pin to 9 Pin). The Brecknell 9503-16679 is also known as Brecknell Scales	9503-16679	or 950316679	.